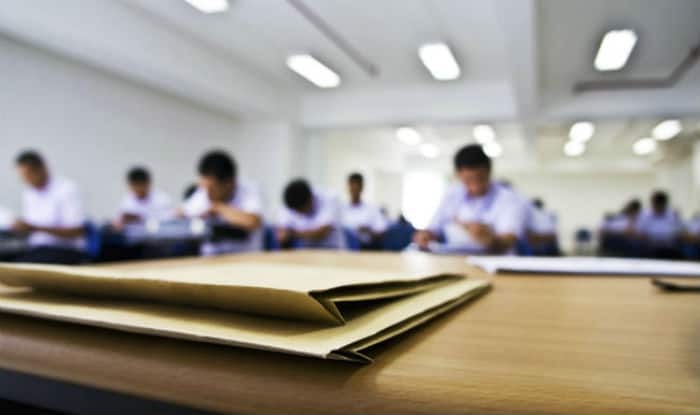 According to reports, the strict security measures at the board exam centres in Uttar Pradesh have forced students to abort class 10, 12 exams midway. Lucknow, Feb 9: Over five lakh students of class 10 and 12 left the UP board exam midway due to a massive crackdown on cheating by the Yogi Adityanath-led Uttar Pradesh government. Notably, the exam centres in the state are guarded by CCTV cameras, Special Task Force (STF) and local intelligence to avoid children from cheating in board exams. Deputy chief minister Dinesh Sharma, who is in charge of education, told IANS that the government was committed to ensuring merit in the education system and at no cost will copying be allowed. “We will not allow anyone to copy, cheat and usurp the right of meritorious students,” he added. The minister will even make surprise inspections at various examination centres to ensure free and fair exams. On the first day of examinations yesterday, over 1,80,826 students did not appear. It included over 53,100 high school and over 1.27 lakh intermediate students. In Hardoi, according to the reports, a total of 11,141 students were absent on the first day of the UP board exam 2018. Azamgarh had 8,842 students as absent, Jaunpur had 6,330, Gonda had 6,299, Firozabad had 5,214, were absent, Mainpuri 4,922, Hathras 5,567, Moradabad 6,034, Gorakhpur 4,193, Sant Kabir Nagar 5,160 students who did not appear for the first board exam, reported PTI.